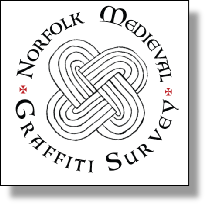 The Norfolk Medieval Graffiti Survey (NMGS) is committed to making the information and data it collects available to both the public and academics. 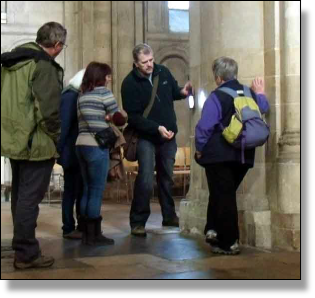 We believe that the inscriptions we discover are part of a wider church heritage that should be available to all. As such we endeavour to ensure that our work is published in as many media as possible. To date the NMGS has featured in Current Archaeology magazine, Cornerstone Magazine (the magazine of the Society for the Protection of Ancient Buildings), Past Horizons, BBC Radio 4’s Making History, BBC 1’s Inside Out, BBC 2’s Escape to the Country and numerous local and regional publications. The NMGS has also been well represented at academic events, such as the International Medieval Congress and regional Council for British Archaeology conferences. 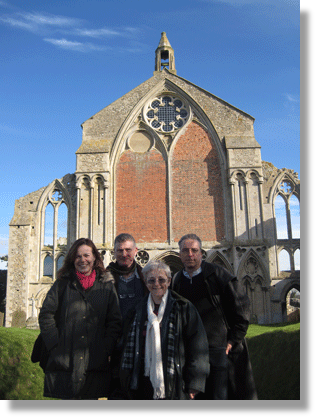 We are also committed to the academic publication of our discoveries and have had numerous articles accepted for academic journals such as Norfolk Archaeology, Suffolk Archaeology, Church Archaeology and Perigrinations. We fully encourage learning and education at all levels – and positively encourage and support all our volunteers to publish work on their own behalf. The NMGS is always keen to promote and showcase its discoveries and the work of our dedicated volunteers. We hold a number of open days throughout the year, and often host events as part of the Festival of British Archaeology and Heritage Open Days. More information is available in our ‘news’ section. The NMGS also offers fully illustrated talks and lectures to local archaeology groups, history groups or other interest groups. If you are interested in knowing more about the subject, or would like to book a talk or lecture for your group, please feel free to contact us.